Kids tickets available for ages 4-12! Minors under the age of 16 will need to be supervised by an adult. HAPPY PLACE is on a mission to spread happiness across the world. 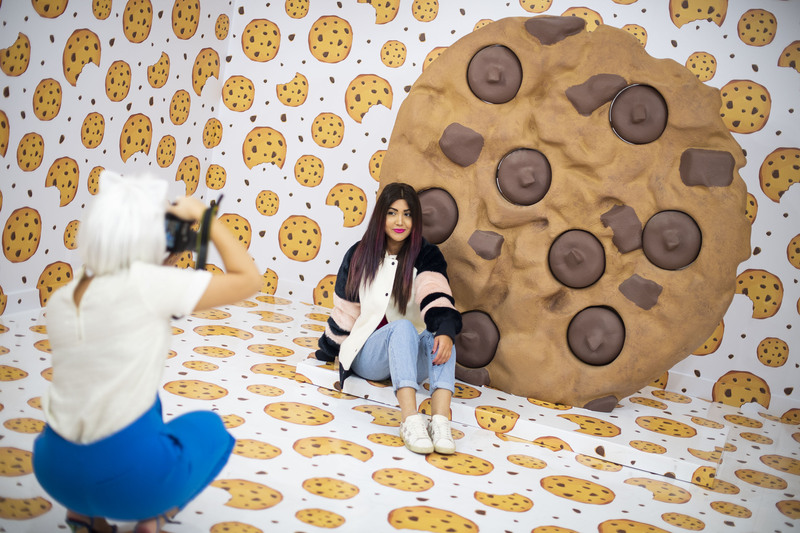 The hit massive pop-up exhibit that attracted more than 500,000 visitors during its sold-out stops in Los Angeles, Chicago and Toronto now brings its interactive experience to Boston. HAPPY PLACE has been embraced by celebrities from the likes of Adele, Kourtney Kardashian, Jesse Tyler Ferguson, Kerry Washington, Sabrina Carpenter, Olivia Wilde and Jason Sudeikis, Travis Barker, Hilary Duff, JoJo Siwa, Sarah Michelle Gellar, and many more. International artists DJ Marshmello and Anne-Marie shot a video for their smash hit “Friends” at HAPPY PLACE, now seen by over 100 million viewers. HAPPY PLACE is filled with multi-sensory immersive rooms inducing smiles and laughter, plus larger-than-life one of a kind installations—including seven-foot stilettos made of a million candies and six-foot tall mirrored X and O letters surrounded by a wall of one thousand red lips—you’ll find a whole lot of selfie moments that you don’t want to miss. “Capture Your Happy” for your social media—sharing the happiness is highly encouraged. 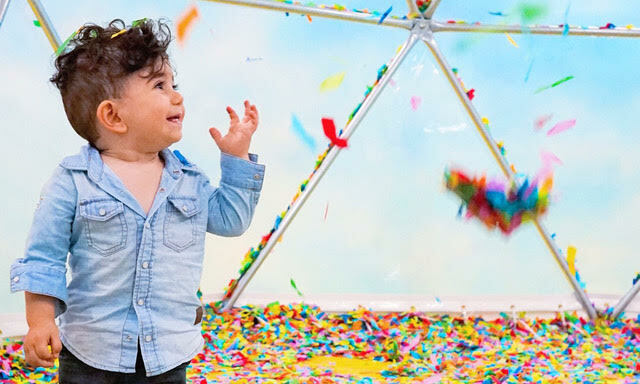 From dancing in the world’s largest confetti dome to posing inside the famous rubber ducky bathtub of fun and jumping off a rainbow into a pot of happiness, guests travel through each unique room guided by a team of specially selected and trained Happy People. Happy Place is created for an audience for all ages. Minors under 16 must be accompanied by an adult, but if you’re old enough to smile, you belong inside. © 2019 ShowClix on behalf of Hofesh LLC. All sales are final. Tickets are non-refundable.